Rumors of Apple launching an all-you-can-stream music service are nothing new. Ever since the company acquired Beats Music in May 2014, speculation has been rife that it could use some of the underlying technology for a new service under its own brand. 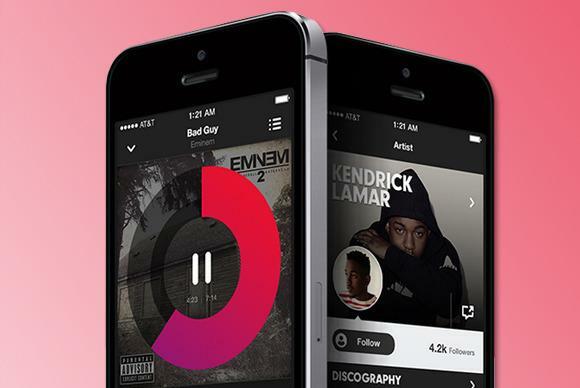 Now, a couple of fresh reports have the Cupertino-based company finally launching that rumored Beats Music-based streaming service at WWDC in June. First up is a report from 9to5Mac, which cites unnamed industry sources "briefed on the launch timeline" as claiming that Apple plans to launch at least a beta version of the service during its annual developer's conference. Per the site, the on-demand music offering will cost $US7.99 a month. While significantly higher than the $US5 figure Apple was previously rumored to be aiming for , it compares favorably to the $US10-per-month fee being charged by companies like Spotify, Rdio and Apple's own Beats Music. Google launched its Play Music All Access service at $US7.99 per month for early adopters, but charges new subscribers $US9.99 per month. The other report, coming to us from Techcrunch, pretty much echoes the first. According to the site's anonymous source -- again someone who claims to be familiar with Apple's plans -- the company is targeting June 8 for an "official unveiling." So when might we see the actual launch? 9to5Mac says it could either be launched as part of the iOS 8.4 update just after WWDC, or with "iOS 9 this fall." Apparently, the launch/unveiling could've happened as early as this month--presumably at the upcoming " Spring Forward" event -- had it not been for the difficulties that Apple has faced in absorbing Beats' technologies and personnel. Why this matters: Streaming services are eating into download sales and not even the mighty iTunes is immune to this larger trend. There is only one sure shot way of stemming the rot: join the streaming party. And if you can undercut the competition while making your product available across all major platforms, all the better. Taking into account Apple's cachet in the music industry and the number of credit cards it has on file, existing players in the streaming business have everything to worry about.